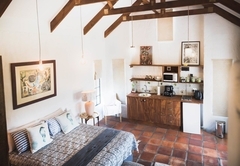 Boerfontein Kalamata Apartment is a property providing self catering in Paarl for up to 2 guests visiting the Cape Winelands region. 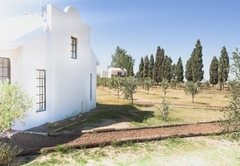 Originally a large farm, Boerfontein (‘farmers fountain’) is situated in beautiful Paardeberg area and is within close driving distance of wonderful wine estates and race horse studs. 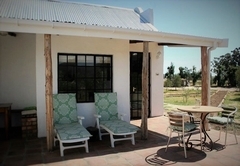 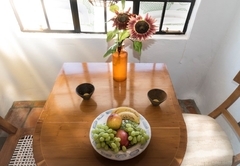 The units provide self-catering accommodation in a tranquil, country atmosphere. 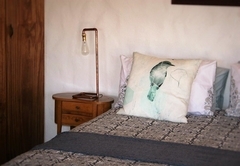 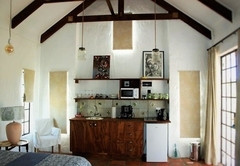 Boerfontein Kalamata Apartment is a ground floor studio apartment which is ideally suited to a couple. 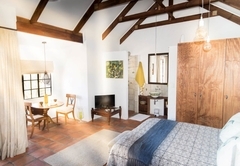 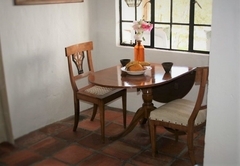 The spacious, open plan studio is furnished with a King-size bed and has a private bathroom with a shower. 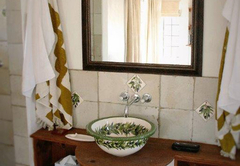 All linen and bath towels are provided as are toiletries. 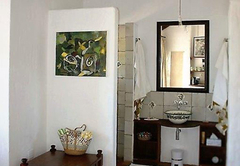 The apartment has a fully equipped, modern kitchen and a cosy dining and lounge area with a large flat screen TV. 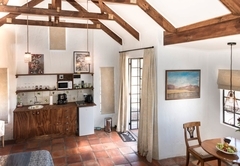 Overlooking the olive grove, Boerfontein Kalamata Apartment has a private, covered terrace and a private braai facility with firewood, blitz, braai grid and tongs provided. 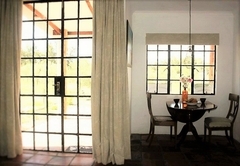 There are beautiful views of the Perdeberg Mountains. 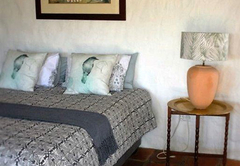 Boerfontein Kalamata Apartment is a ground floor studio apartment which is ideally suited to a couple. 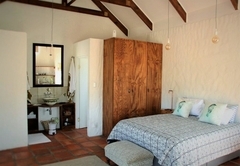 The spacious, open plan studio is furnished with a King-size bed and has a private bathroom with a shower. 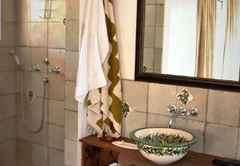 All linen and bath towels are provided as are toiletries. 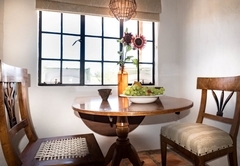 The apartment has a fully equipped, modern kitchen and a cosy dining and lounge area with a large flat screen TV. 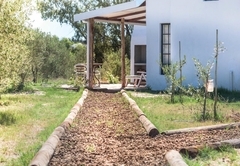 Overlooking the olive grove, Boerfontein Kalamata Apartment has a private, covered terrace and a private braai facility with firewood, blitz, braai grid and tongs provided. 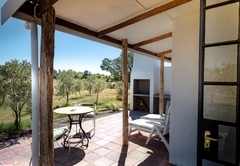 There are beautiful views of the Perdeberg Mountains. 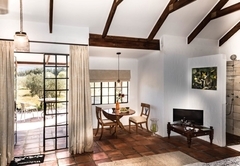 Response timeBoerfontein Kalamata Apartment typically responds to requests in 5-10 minutes.